A walking tour that combines video, music and learning for your art viewing pleasure. SFMOMA Public Space on Howard St.
SFMOMA HOURS: Open Friday–Tuesday 10 a.m.–5 p.m. and Thursday 10 a.m.–9 p.m.
Closed Wednesday.Last admission is a half hour before closing. Public spaces are open daily at 9:30 a.m.
Download a PDF of the SFMOMA Visitor Map and start planning your visit. The king of West Coast street art in robotic conversation with Aaron Rose of Alleged. Visit the acclaimed Swiss artist Ugo Rondinone, who presents his pictures and sculptures. To Rondinone, art has a shamanistic potential that he wants to use to revolutionize the viewer. "The best way to describe an artwork is just to describe what you see." 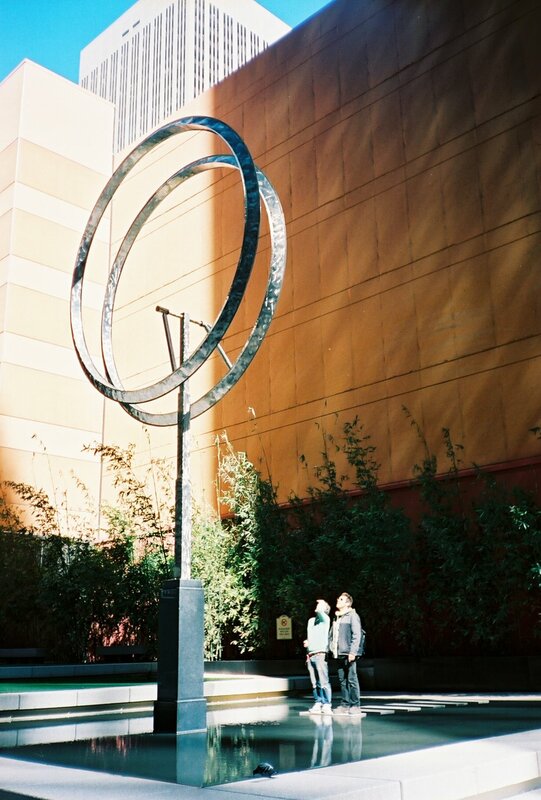 WANT TO LEARN MORE ABOUT PUBLIC ART? LISTEN TO THE FULL ADUIO TOUR FROM CRHIS JOHANSON AND KAL SPELLETICH HERE.